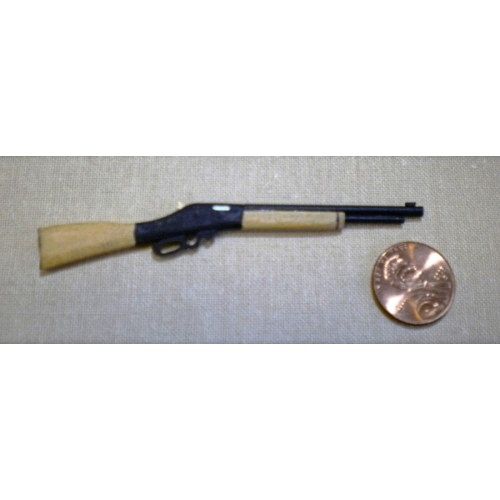 This incredibly detailed miniature .30 Caliber Rifle is a hand made wooden reproduction. The details, quality and workmanship is unsurpassed. The miniature .30 Caliber Range Rifle measures 3.49" long. Perfect for your miniature hunting cabin or shooting range. This .30 Caliber Rifle is supplied by Harville Miniatures, which generally ships within 1 business day(s) of you placing your order . Harville miniatures are incredibly detailed and top quality miniatures, handmade in the USA.